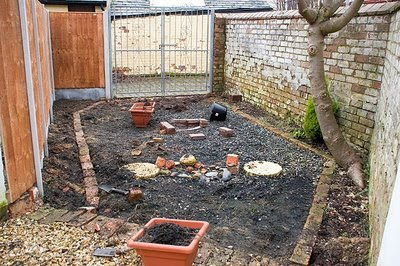 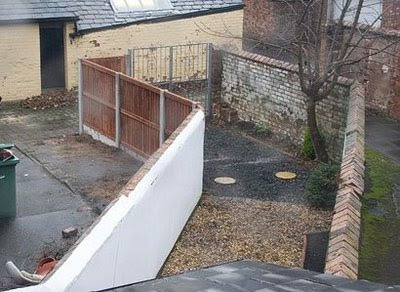 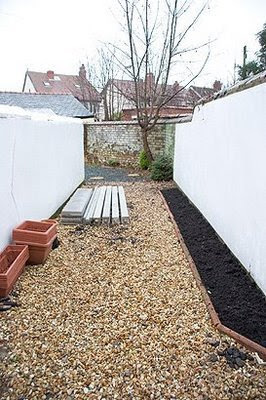 Remember how the back bit of our garden looked like when we moved in? 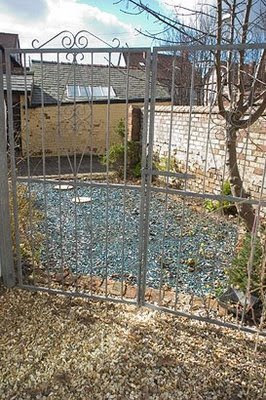 Remember how last autumn we had the gates moved and fences installed and I created beds along the sides? 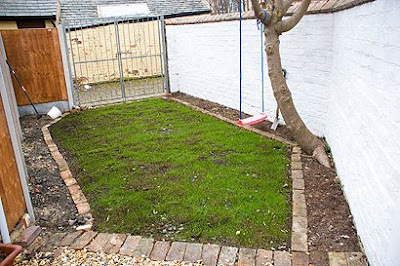 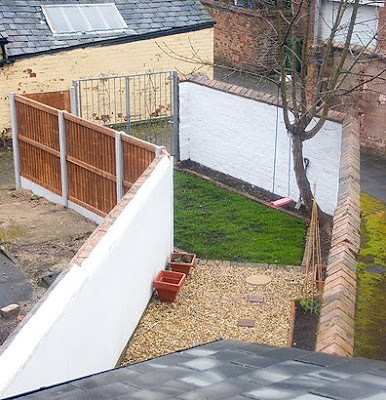 Since then we've painted the wall white and sown some grass - look how well it's growing! 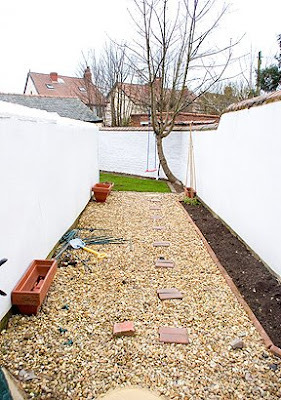 It's going to be such a nice spot in summer when the sycamore tree is in leaf!